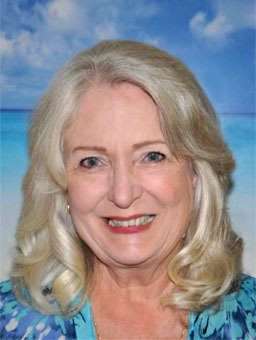 Carol has a proven record of success, assisting buyers and sellers since 1989. She strives to provide the highest level of quality to clients through consistent monitoring of service and continual communication. Because of her commitment and follow-through she has many repeat clients and referrals. She enjoys all aspects of real estate – developing strong client relationships, pricing and promoting property, negotiating the best possible price and terms for her clients, and arriving at successful closings. Consider Carol Chabinak if you are looking for an agent who will stay in touch on every aspect ofthe marketing and sale of your home, an agent who will work hard to sell you prperty, an agent who will be forthright, professional and yet very personable. Ms. Chabinak followed up on every showoing. Her open houses were well promoted and attended. She worked with her husband, another agent, who was able to provide additional technical information about the house. Carol also came up with innovative ideas for promoting the house. In other words, Ms. Chabinak and her husband, Robert White worked very very hard and did a splendid job. It is my pleasure to write a testimonial for Carol Chabinak. From the very start, Carol was on top of her game. She kept in contant contact with us during the entire process of purchasing our home. she provided excellent reports and comparables in order for us to make an informed decision regarding our purchase. she followed through with the sellers broker and with our closing agent as well. Because of her excellent communication and follow up, we were able to make our offer and close within three weeks. We will be using Carol to list our other property and we know it will be a successful transaction. I will recommend Carol without hesitation. We couldn’t be happier with the entire process!